We all are familiar with this addictive and widely played game Angry Birds in which we have to fight those ugly green pigs. But did you know that Chinese are already knocking those green pigs in real life? Yes! 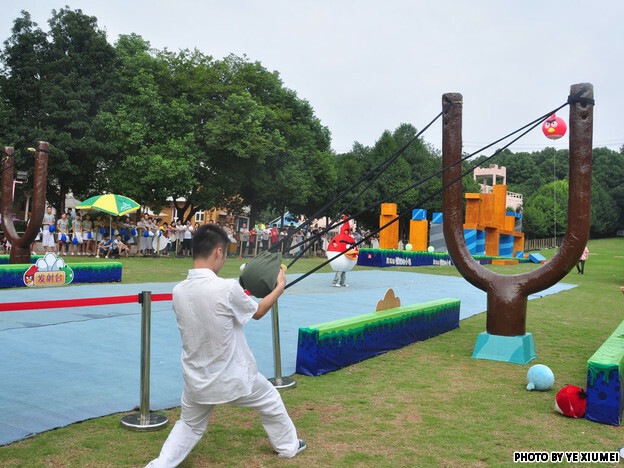 An Angry birds recreational park has been opened in Changsha, China that offers visitors to use giant slingshots to shoot at pig balloons just like we do in the game. "This [Angry Birds attraction] serves as a method for people to purge themselves and to gain happiness." I just wish I could visit this wonderful Angry birds park filled with a lot of fun and enjoyment. Did anyone get a chance to visit this park? 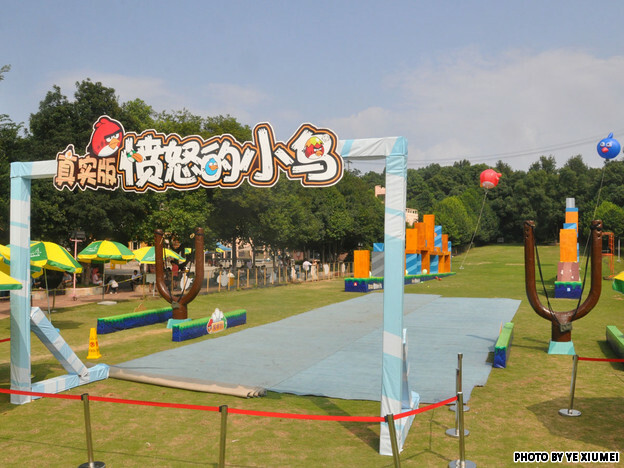 0 Respones to "Unlicensed Angry Birds Theme Park Opens in China"